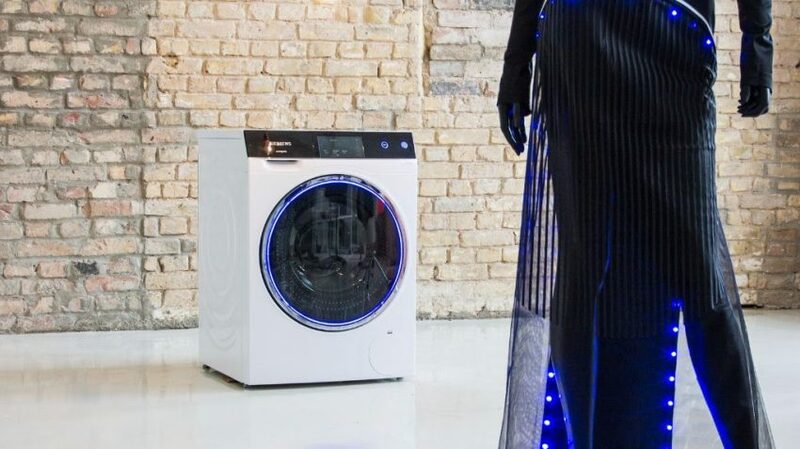 When You Want Your Fashion to Be Like a Washing Machine #WearableWednesday #wearabletech #fashion « Adafruit Industries – Makers, hackers, artists, designers and engineers! Siemens recently asked four artists to create work inspired by their newest washing machine avantgarde for their “Recreate the Everyday” campaign. While some offered paintings and others sculpture, the team at Berlin’s ElektroCouture created fashion tech. They brought back designer-in-residence Anja Dragan (check out her previous design #MarleneGlows) for this project. Deconstructing the washing machine led to some interesting considerations, including geometry, LEDs, texture and movement. Check out the team’s humorous video as they attempt to get the completed dress onto a mannequin—yes, programming LEDs is actually easier than dealing with the arms of a dummy! Seriously though, the fun is looking at each detail of the dress and finding its match on the washing machine. This project is a great example of designers translating across mediums creating new art. Congratulations to ElektroCouture on another wonderful fashion vision. Do you have dreams of glowing dresses? Check out our Sparkle Skirt learning guide to discover the basics of incorporating Neopixels into your couture. 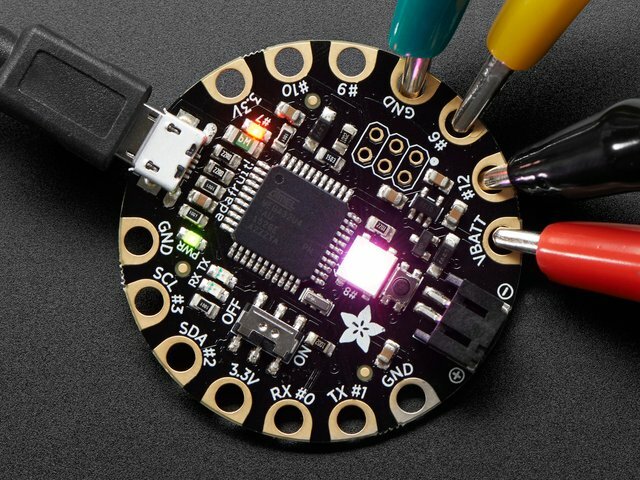 Copy and paste the code for the FLORA microcontroller or hack your own for a bright fashion adventure.